TV Nova is probably the most popular TV station in the Czech Republic. Its TV news studio is one of the largest TV studios we’ve ever installed. TV Nova was the first studio, where we’ve decided to define a standard system, not just the pure array of LED strips. We’ve defined LED panels, which can be used to create even curved digital horizon. The benefits of standard sized panels are obvious – it can be easily exchanged even by the client if there is some problem. We’ve used also the projector canvas to diffuse the LEDs here for the first time. The canvas is being produced as one single piece. The TV studio was created as two parts. The first one is mainly used for evening TV news. It’s made of moderator table in the center and huge digital horizon background. We’ve used our P60 LED bars (16.7 LEDs/m) in total of more than 22000 LEDs for this part. We had some issues when the TV studio launched, but we fixed all of them. There was some dust coming out of the holding structure and it was shorting our signal wires on LEDs. Anyway, we found and fixed the problem quite fast. The customer was happy and that’s why they’ve ordered also the second part of the studio. The second part of the studio was finished one year after the first one and it’s even larger. It’s being used for morning TV studio. It’s using 35000 LED pixels. Some parts of the horizon are even moving like sliding door to enable easy access to the TV studio. Overall, the new studio was a success. It’s more than 50000 LEDs and more than 80 square meters of digital LED background. 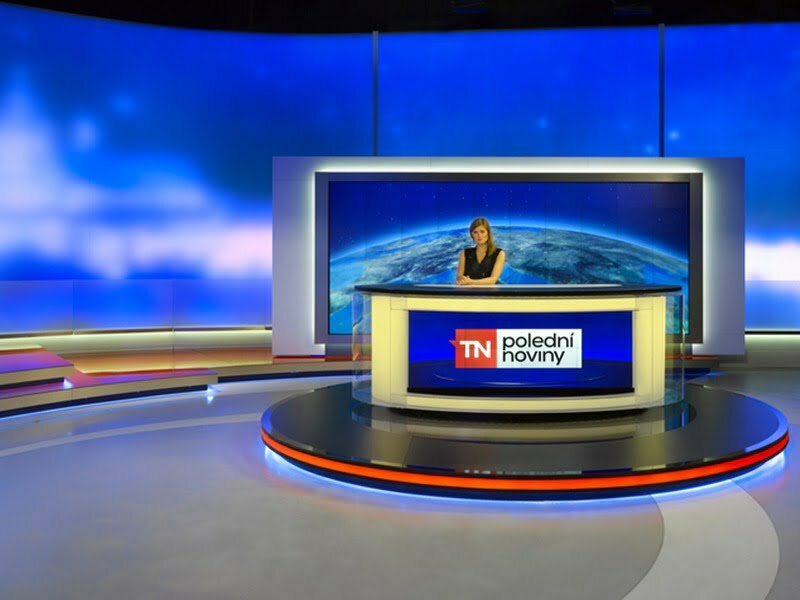 Thanks to this TV studio we did more installations in almost all TV stations in the Czech Republic and Slovakia.